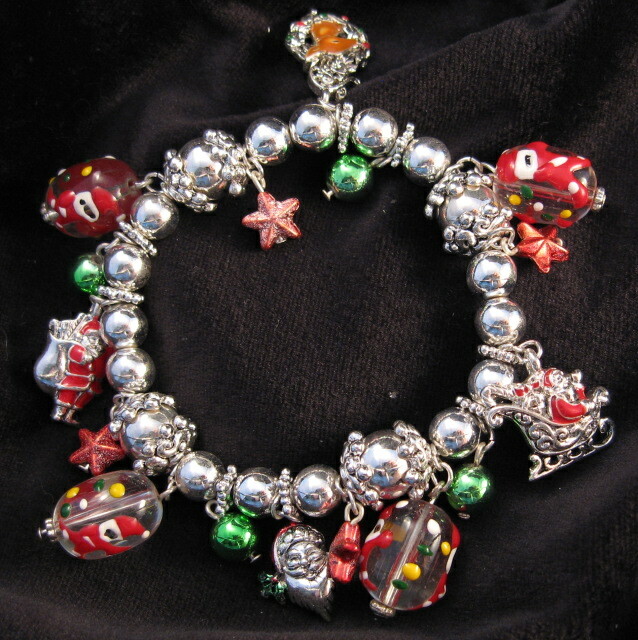 Holiday stretch bracelet with silver, green and red beads. 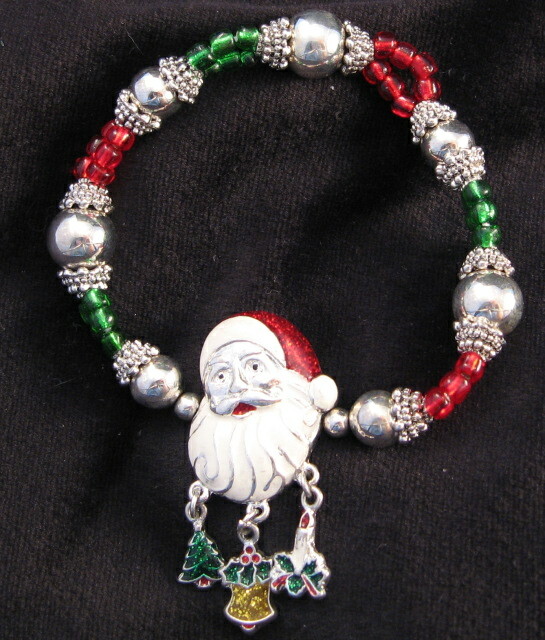 One Large Santa Face has 3 charms dangling from it. Christmas Tree, Gold bell and holly candle arrangement.